This is a must-have astronomy almanac for what's happening in the New Zealand skies for 2019, plus current highlights in astronomy. Full of spectacular images from New Zealand astrophotographers. Featuring This year's issue features Information for beginners as well as vetera... read full description below. 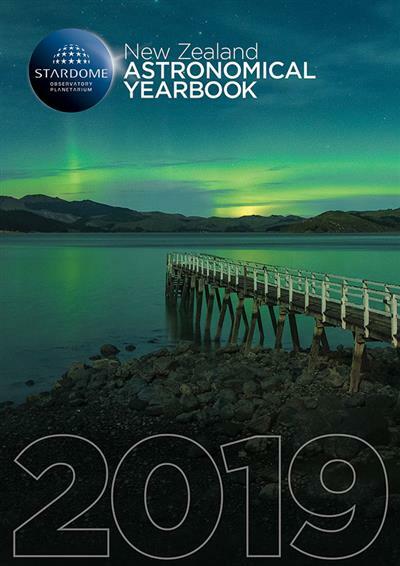 This is a must-have astronomy almanac for what's happening in the New Zealand skies for 2019, plus current highlights in astronomy. Full of spectacular images from New Zealand astrophotographers. Gaia's Outrageous Mission - Learn about the mission that's creating the greatest catalogue of our galaxy to date. The statistics of this mission are mind blowing! Not that long ago on a Moon far away - The coming year marks the 50th anniversary since humankind first set foot on the Moon. David Britten reflects on this giant leap that changed the course of history forever. A Centennial Celebration - The International Astronomical Union, founded in Paris in 1919, celebrates its 100th We reflect on the pivotal role it has played in spreading astronomy education far and wide over the past century. Chasing the Lights - Dr Ian Griffin, Otago Museum, tells the story of how he took his passion for chasing aurora to new heights. The Yearbook also tells the success story of two astro-tourism pioneers at Lake Tekapo, pays a special tribute to the late Graeme Kershaw who contributed so much to the development of Mt John Observatory, and profiles friends, Phil Yock and Bill Allen, who have been two key contributors to New Zealand astronomy and astrophysics.